Stainless steel that is used in various industry such as automotive, medical equipment and industrial chemicals. Free-cutting steel that is used mainly in fields of electrical equipment and OA equipment, there are many other line-up to suit uses and machinability. Alloy is a metal material with excellent corrosion resistance and oxidation resistance that consist of Nickel and Chromium. Structural steel has been used the most frequently among the steel material. 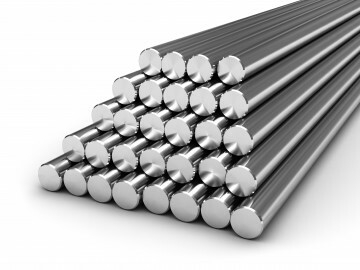 Tool steel has excellent properties of strength and its wear resistance. By taking advantage of excellent copper's properties of thermal conductivity and corrosion resistance, applicable field of copper has been expanding year after year.